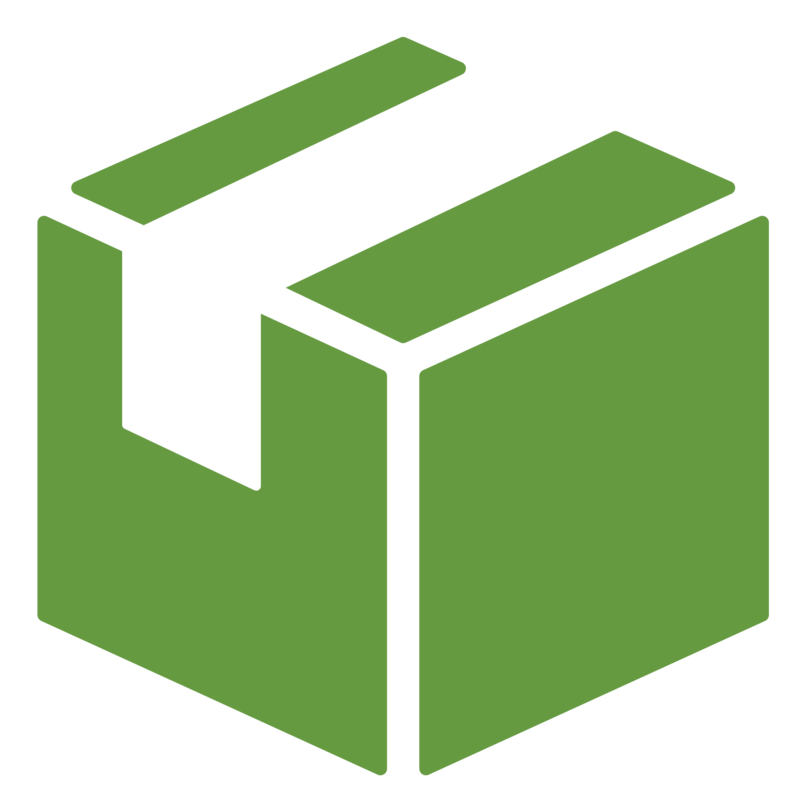 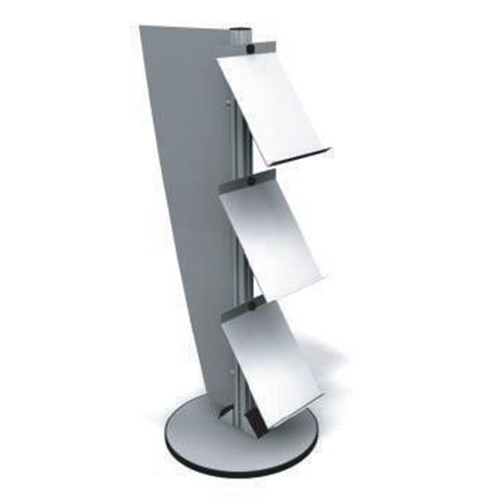 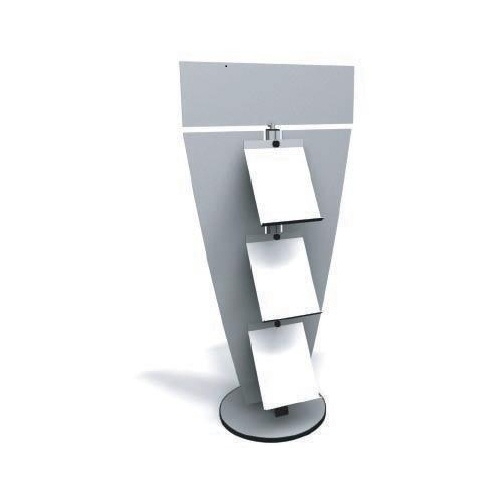 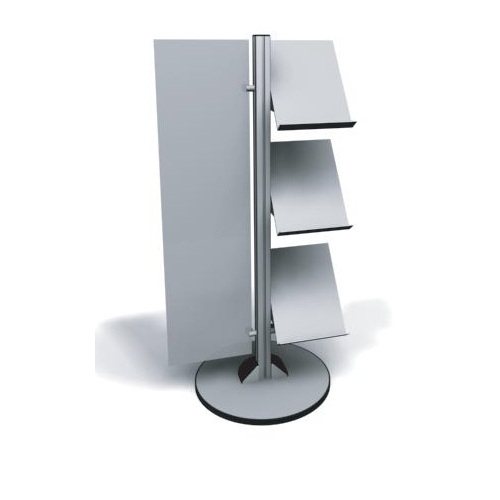 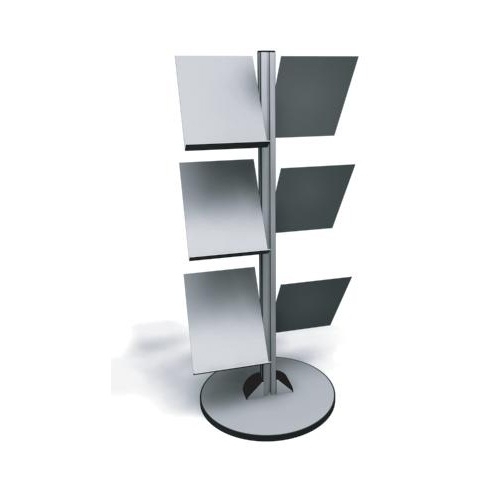 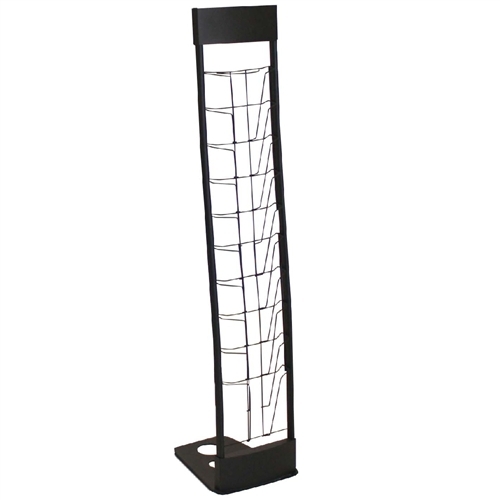 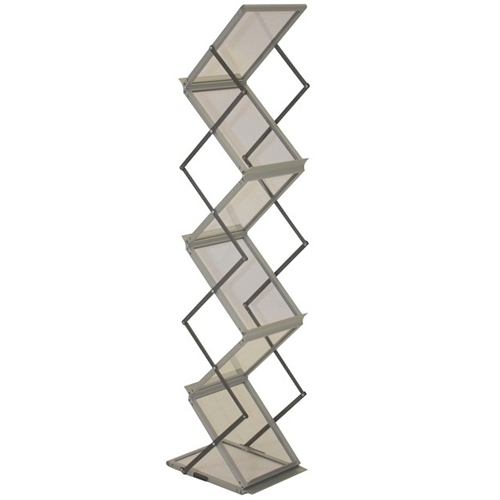 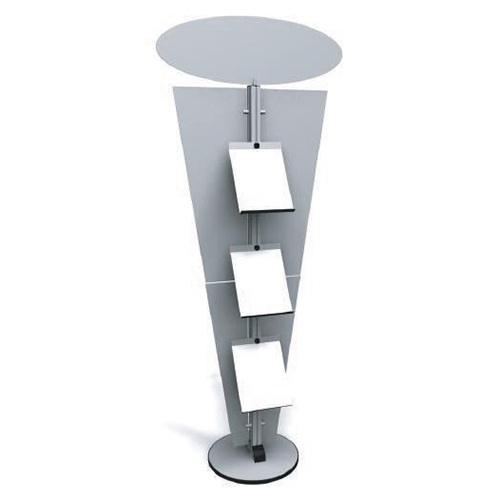 Literature stand with a modern design provides a simple set up and optional graphic printing on the wings and rectangular header with three shelves for promotional materials. 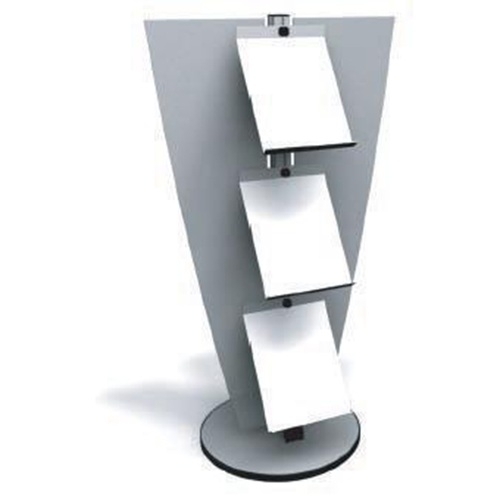 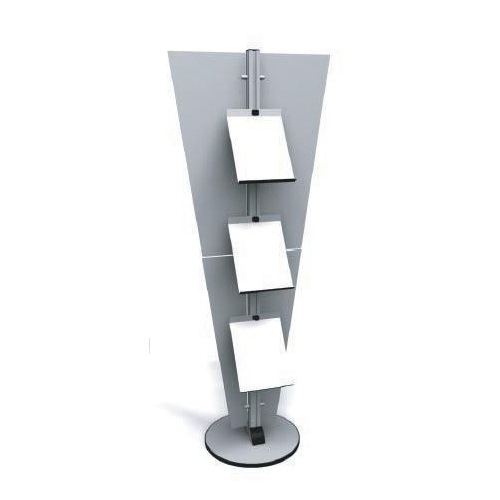 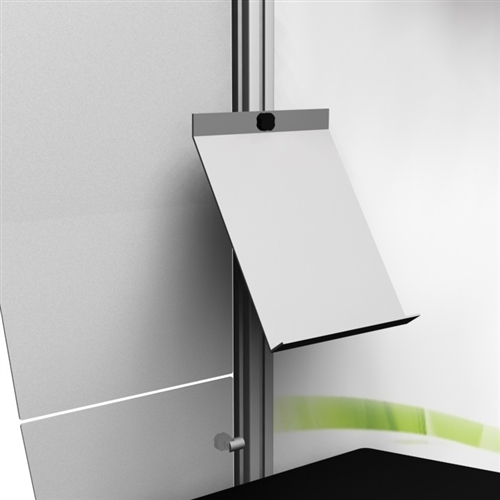 Exhibitline literature holders fit well in a modern industrial trade show booth like the Exhibitline Displays. 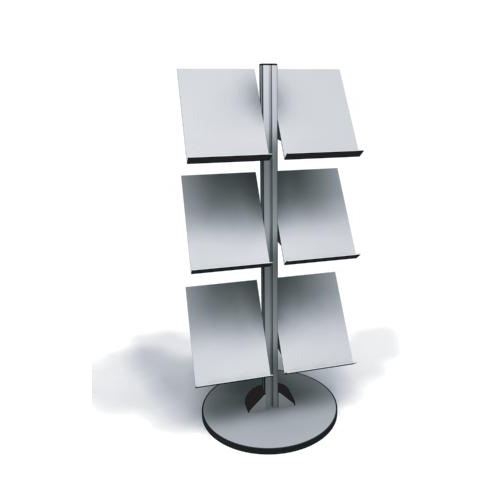 This simple stand is easy to set up and looks great with any high-end display.